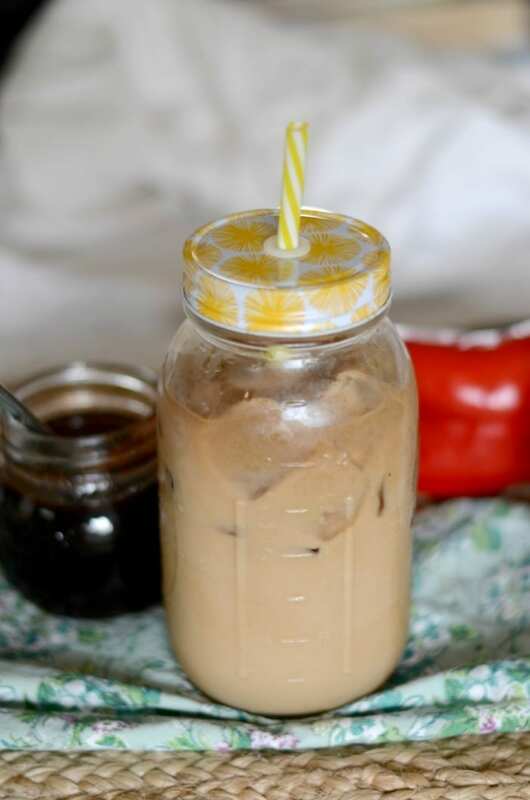 Make this copycat spiced cold brew coffee at home! Can we take just a second to appreciate that coffee swirl up there. Isn’t it magical?! There is something about the moment the cream or milk hits the coffee that is just perfection. It’s like the coffee is saying “It’s going to be OK. I got this!” The swirl and the first sip are the best parts, in my humble coffee loving opinion. It may be different for you, but we can all agree that the swirl is mesmerizing. As much as I love coffee I tend to always drink the same thing for long periods of time. It all started with the iced chai latte, then I was obsessed with vanilla lattes and most recently I have been drinking cinnamon dolce lattes non stop. I’m not complaining, but sometimes I need a little change every now and then. I decided to ask the Facebook group what they were drinking lately and I had a bunch of people say the spiced cold brew coffee from Starbucks! 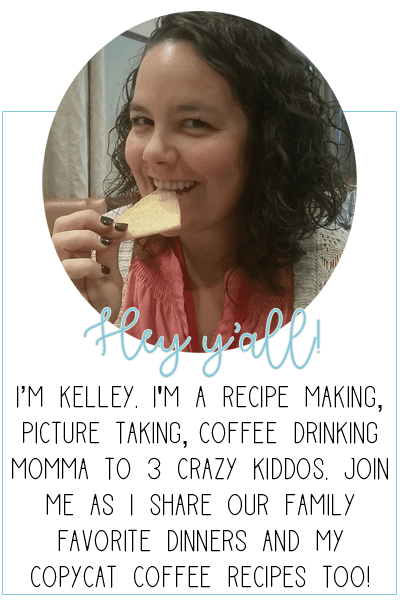 Two even asked for a copycat recipe because they loved it SO MUCH. Well, ok then! Commence operation spiced cold brew. The key to this spiced cold brew is the homemade syrup. Don’t worry! It’s simple to whip up and one batch lasts up to two weeks. (Less if you drink more than one cup of coffee a day.) You may even have all the ingredients on hand! And if you don’t, they are inexpensive to buy and cost a TON less then buying one drink from Starbucks. 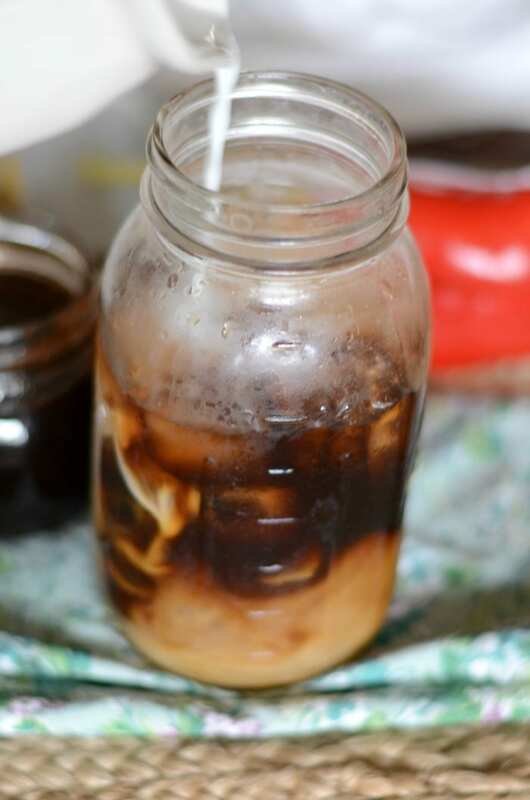 This drink is a combo of two things – spiced syrup + cold brew coffee. 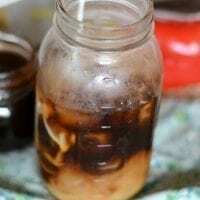 (You can find my easy recipe for COLD BREW COFFEE HERE.) Or if you have leftover coffee, that works just fine too. Oh and if you LOVE coffee as much as I do, sign up for my FREE coffee ebook below! 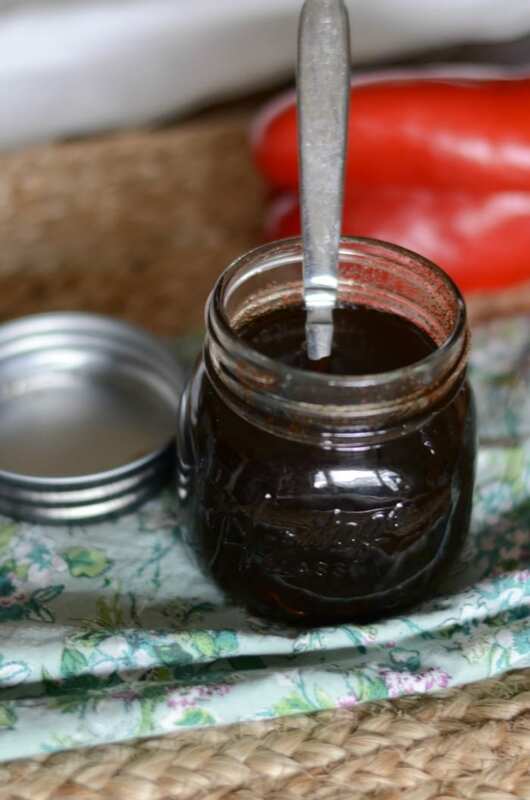 In a small saucepan add the sugar and ancho chili powder and mix to combine. Pour in the water and bring to a boil. Allow to simmer for about 3 minutes or until the mixture coats the back of a spoon. Remove from heat, allow to cool and store in an airtight container. Add 1-3 tablespoons of spiced syrup to a glass depending on your sweetness preference. Add cold brew or leftover coffee. Stir to mix. Add milk and ice. this sounds perk-inducing with that chile and coffee! and yes, i could stare at creamy swirls in coffee all day long ?